Oh, the iconic Coco Chanel. 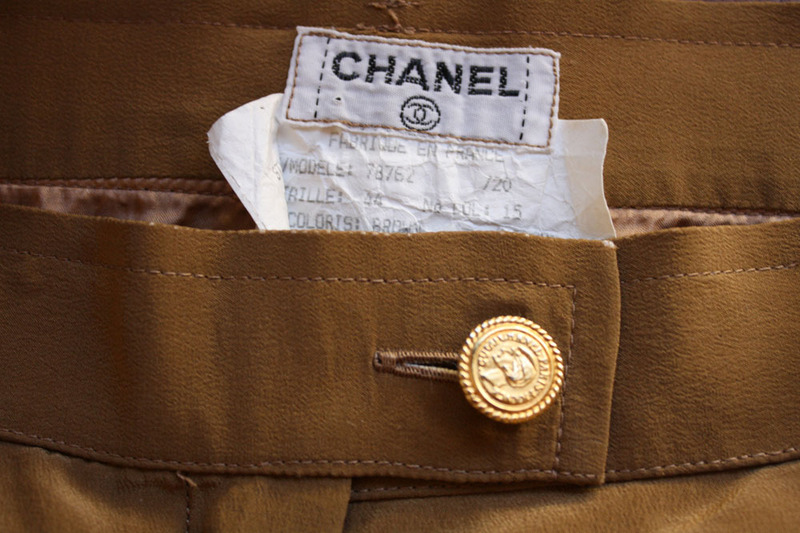 How I love anything and everything CHANEL, and still wishing for a vintage bucket bag…. The ultimate luxury label, always timelessly designed and constructed. 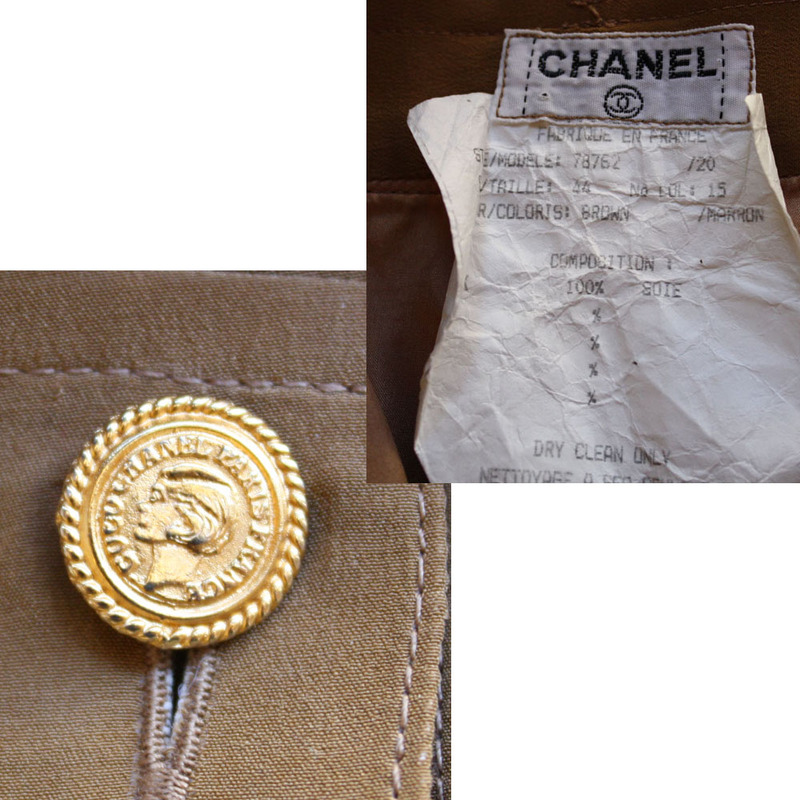 We’ve come across an amazing pair of silk Chanel pants- high waisted, pleat front, center creased, and wide leg cut, with the “Coco Chanel Paris France” gold logo button on the front. 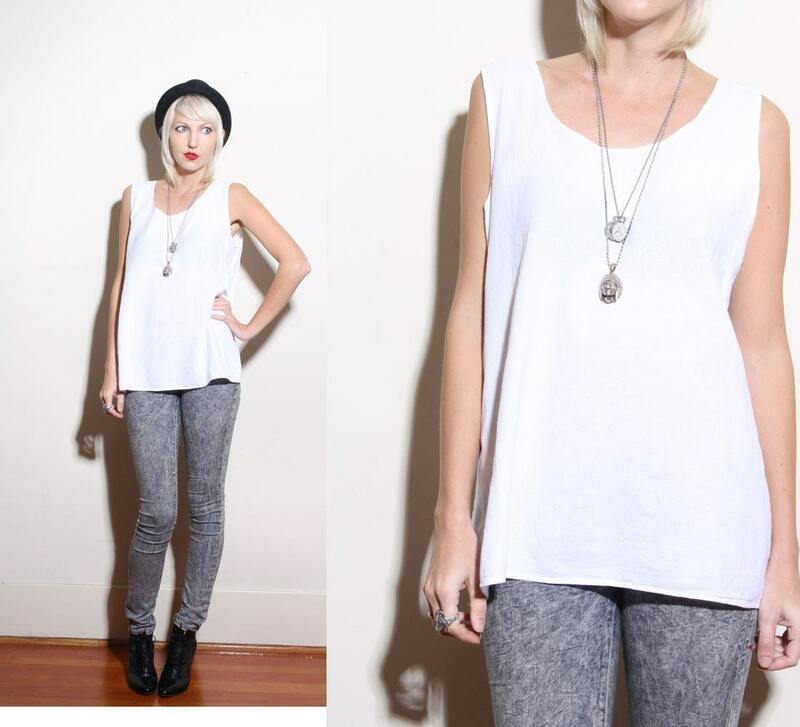 In store now at Castaway Vintage! A perfect wardrobe basic that will stand the test of time. 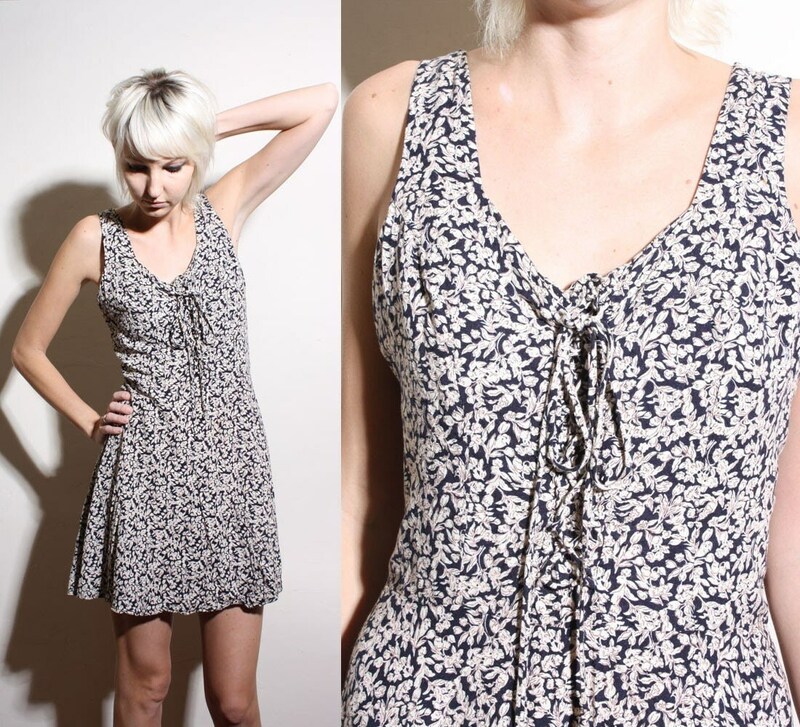 Plus, tons of more new listings have been added to the shop all week, more added daily, at Castaway Vintage! EXTENDED 2 More Days! 1 Year Anniversary Sale- 20% OFF EVERYTHING! In case you missed our amazing 1 Year Anniversary Sale this weekend, in which we put EVERYTHING in Castaway Vintage shop at a 20% OFF Discount, you have 2 more days to take advantage! The Sale ends Tuesday, November 9 at Midnight US Pacific Time! 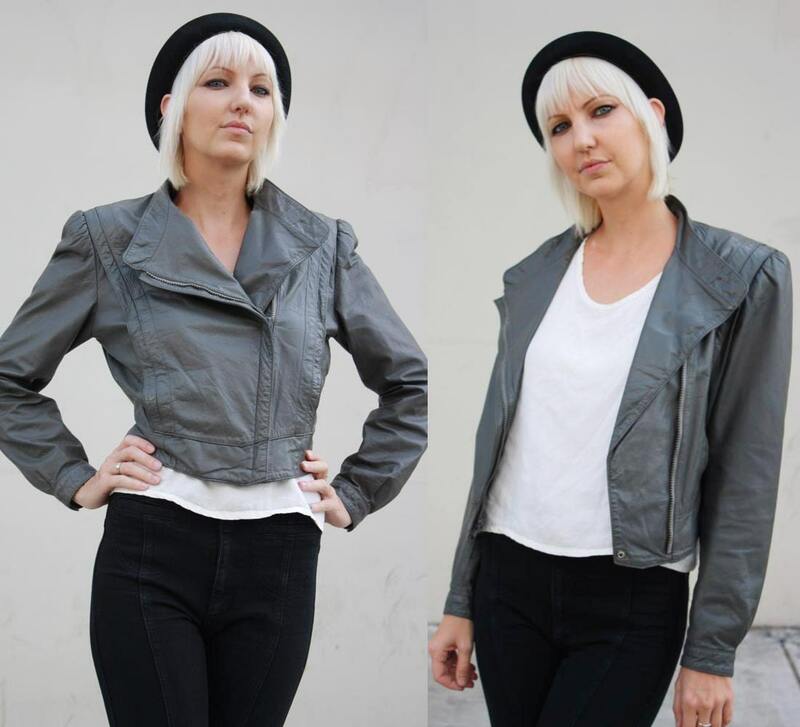 Vintage 80’s Gray Leather Jacket, Was $125 Now $100 til Tues! Vintage Sheer Lace Crop Top, was $24 now $19.20/ Acid Wash Shorts, were $34 Now $27.20 til Tues! 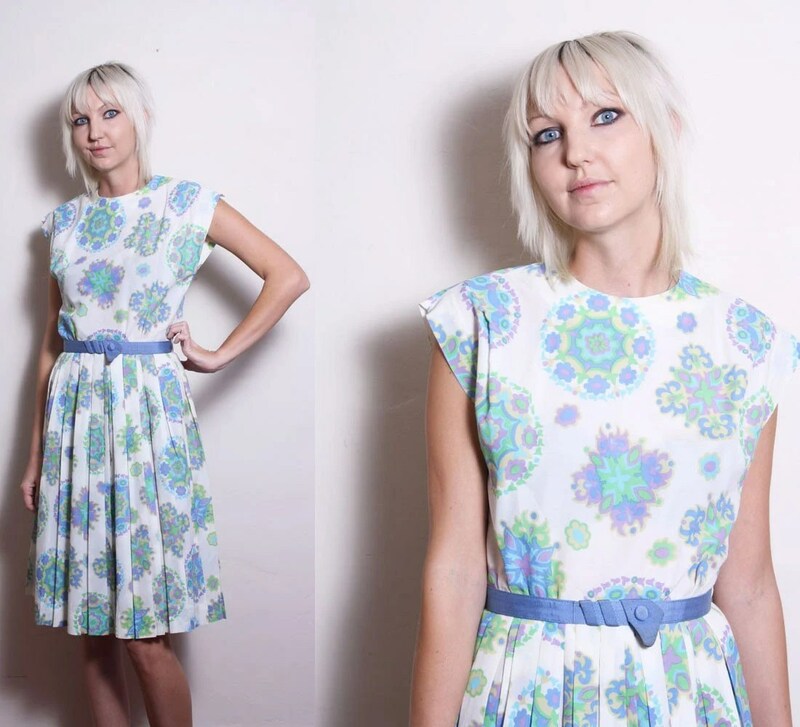 Vintage 60’s Mod Colorblock Buttons Twiggy Dress, was $66, now $52.80 til Tues only! 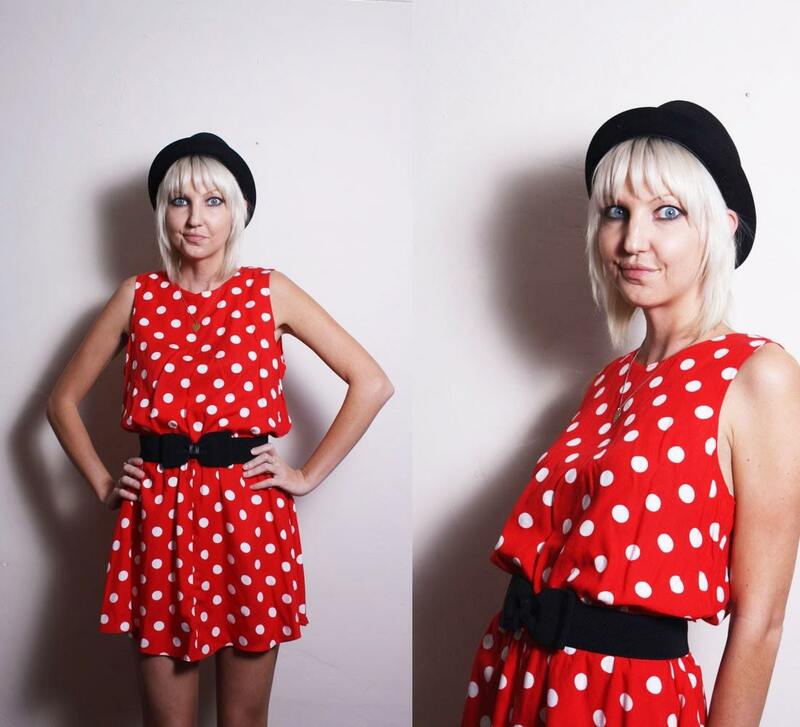 Vintage 1950’s Red Mancini Mad Men style dress, Was $52 now $41.60 til Tues!